Wow - your friends did a fantastic job with your shower, everything looks so lovely! What a great group of girlfriends! 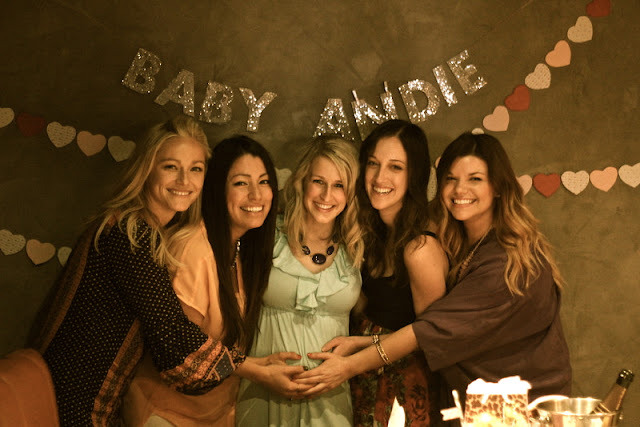 WOW - this is probably the sweetest baby shower ever. 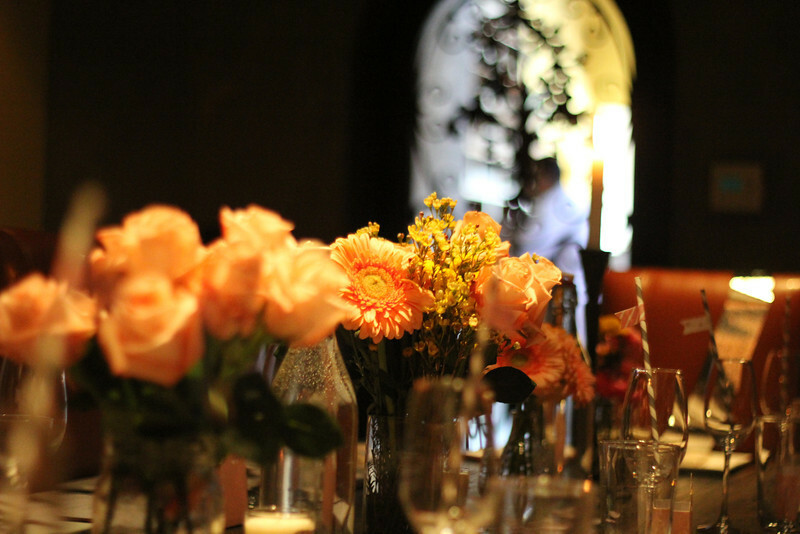 I love that they were able to make it so special, especially in a restaurant! Those are sometimes the hardest parties to pull off and all your girls did a lovely job. I love the banner and candles! And how cute is the baby bingo?! 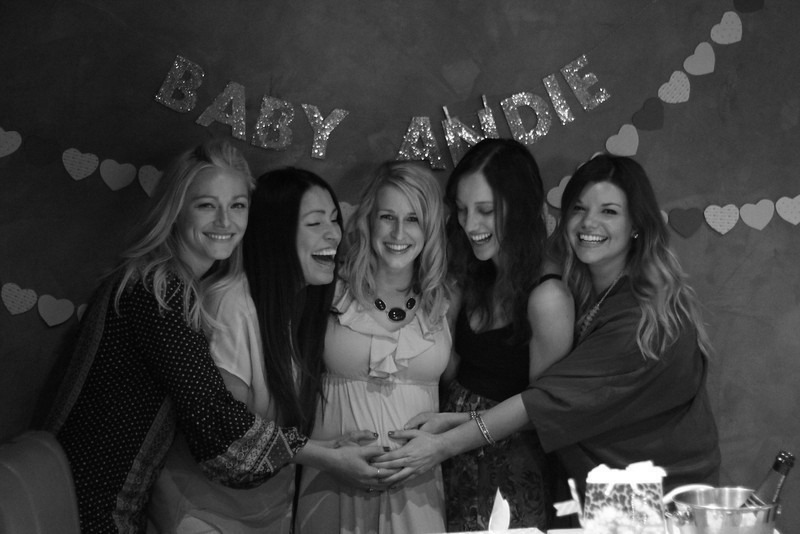 Baby Andie is going to have a LOT of wonderful women in her life! How fun! and you are blessed in the friend department. It is SO much fun raising a sweet girl for your friends to love on! I bet you are getting more and more excited for her arrival! truly special times! Love all the little touches! Wow that is really really sweet of your friends to throw you such a great surprise baby shower! How adorable is that shower. now i am craving waffles! What beautiful photos! And what an incredible group of friends, I'm so happy for you Tracy. This is so cute, and you are seriously glowing!! What sweet friends you have - and I love the candles as shower gifts. So special. 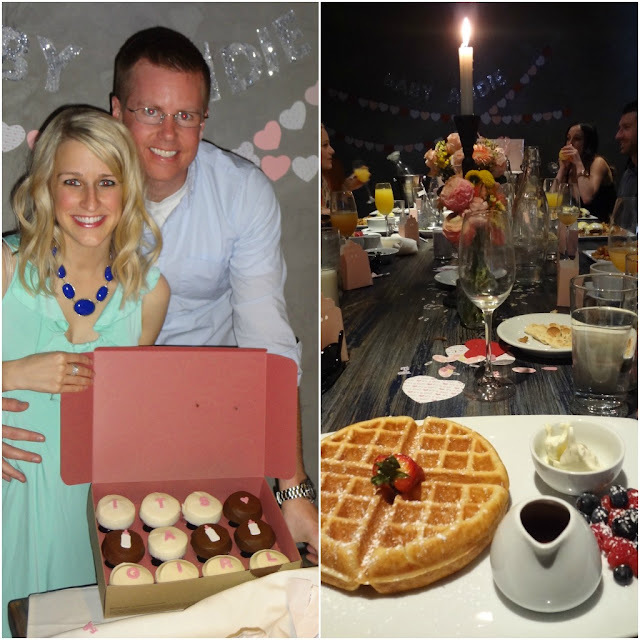 That is the sweetest surprise shower I have ever seen, Tracy! You do have some wonderful girlfriends, for sure. They went above and beyond and they all seem to be very creative and DIY fanatics. I admire that. Congrats to you again. So sweet! That is so sweet Tracy! You have some wonderful friends!! so sweet!! chiquita is so freaking talented at making banners and little cute decorations, i think she should start an etsy shop. and love the candles casey made!! so happy you guys were showered with so much love! The pictures of you and th girls are beyond precious! What a great shower. That is so nice of your friends to do for you!!! I was bummed I never had a baby shower with Lucas, but life goes on. When I saw what it said on the candle, I was thinking, who's Tim? Then I realized it was your hubby's name, but I'm so use to seeing him as TL! Oh it looks lovely! 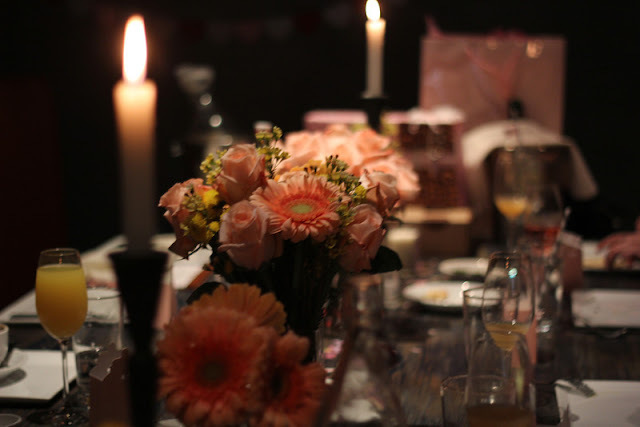 I can never work out if I would like a surprise party or not- but I think one like yours would be wonderful! You all look amazing and the picture of the girls holding your tummy and all looking at the camera MUST be framed! It is just darling! What a fun visit! Oh how sweet and beautiful! You are just glowing. And I love her name! Love this! I wish I could have made it, it looked beautiful! Everything looks beautiful! And yes, those candles are so neat! That is awesome that they put all of this together for you, and the pictures taken are beautiful. I especially love the one of you two standing by the name banner. It is wonderful! this is the SWEETEST and most thoughtful thing i have ever seen...you have got some great friends my dear and i couldn't be happier for you. don't you have the sweetest friends! truly so beautiful! xoxo! I loved all the details and the love that they have for you transends through the pictures! So glad that you had a wonderful shower. Your friends are fabulous. Your shower is stunning. 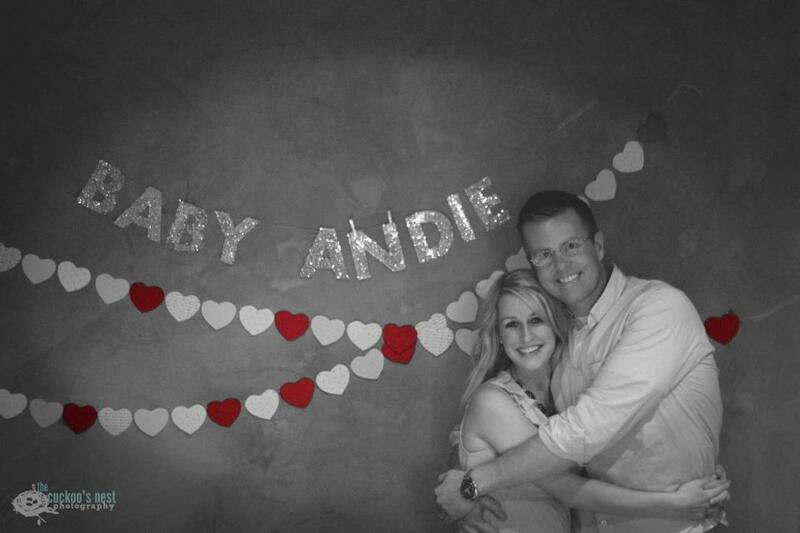 Love the decorations and baby Lesh's name! You and Tim look so happy. Congrats to you two!! That looks absolutely amazing! The decor, the layout... all of it is just fabulous! Aw so sweet of them to throw that intimate shower for you! I just love that banner!